It's finally 5:00. You are done for the day. Scooping up your coat and other belongings and telling everyone goodbye for the day, you head out the door. It's yet another beautiful fall evening, perfect for a stroll. You decide to forgo the bus tonight and use the opportunity to walk home. It is only a couple of miles, you'll be home by dinnertime. As you are walking, you notice a young man who seems to be following you. This makes you a bit nervous, so you slip into a nearby shop and watch as he wanders by. As soon as he is gone, you emerge from your hiding place and continue on your way. Finally, after about 40 minutes, you reach the walkway that leads to your house. Entering, you notice that your family is not home yet. Going into the kitchen to start supper, you grab the roast out of the fridge that you had placed there this morning to thaw. Putting it into the oven, you hear the front door open and slam shut. Your oldest has come home. Suddenly, you feel a wave of helplessness come over you. Feeling as if all energy has escaped your body, you almost fall into the nearest chair. 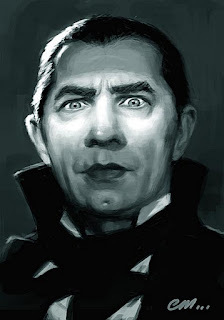 In today's age, we know that there are no such things as vampires. They exist only in stories and movies... right? Well... yes and no. The bloodsucking, 'only go out at night', feasting on humans kind is a myth. At least we have never come up with solid proof that they exist. However, there is another form of vampire out there, rampant in our society today. The Psychic Vampire. These are the people who seem to thrive off of watching everyone else suffer. When they walk into a room, the energy dissipates. We all know one or two of these people, don't we? Teenagers seem to be the worse type of vampire. Their arguments are their attempts to steal the life force from their parents. If we (the parents) give in, they have won... they have drained us of yet more of our precious resource. Therefore, we cannot give in, we must stick to our guns and show them that we are in charge. Remember that young man earlier in the story? Well, he is another type of psychic vampire. He was able to take a bit of your life force just by the fact that you allowed him to unnerve you. Your nervousness is a symptom of the life force being drawn out of you. You allowed him into your comfort zone by perceiving him as a possible threat. He didn't even have to touch you and you changed your routine for him. So you see, there are vampires everywhere. In your home, at your work, at the grocery store, everywhere. They are not the type that is readily recognizable, they do not look like Dracula, or Mitch, or Edward. They look like you and I, they could be you or I. That is part of the problem. These vampires do not always know that they are vampires. All that they see is that people give in to them, bend to their will, give them free reign over themselves and others. They think it is just them, that they have some kind of power that allows them to manipulate others. Michelle Hoffmann is the owner, editor and publisher of The 24KaratMarketer Ezine – http://free24karatmarketer.com, an online publication that is dedicated to helping marketers, new and experienced, succeed in their online businesses. She is also a mother, writer, photographer, MonaVie distributor and student. Yes, she does it all!